The Arizona Supreme Court on Monday upheld the convictions and sentences of a woman who pretended to have cancer to receive a state-funded abortion. 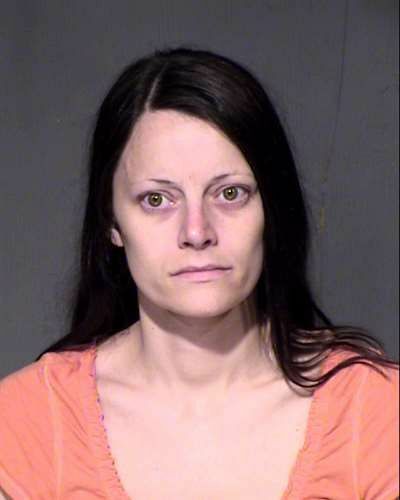 In 2016, Chalice Renee Zeitner received three separate sentences totaling 28 years in prison after she was convicted for a range of charges including driving under the influence, fraud, identity theft and forgery, The Arizona Republic reported. Some of the convictions related to Zeitner defrauding a veterans group. She received 10 years for charges stemming from faking a cancer diagnosis in 2010 to receive an abortion paid for by Arizona Health Care Cost Containment System (AHCCCS), the Arizona Medicaid program, the Associated Press reported. The abortion was conducted while Zeitner was 22 weeks pregnant. Zeitner, now 33, had given an obstetrician a note reportedly written by a doctor. The letter said that Zeitner had cancer and should “receive an urgent [abortion] . . . to relieve third term life-threatening certainties to the patient,” the ruling from the Arizona Supreme Court said. Because the procedure was considered life-saving, it was paid for by the AHCCCS. Zeitner had argued that her physician-patient privilege was violated in lower court proceedings when prosecutors used her medical records. The Supreme Court upheld that patient-doctor privilege could be overturned to permit prosecution of AHCCCS fraud. The Maricopa County Public Defender did not immediately respond when contacted by Newsweek. While the prosecution of Zeitner began years ago, the Monday ruling comes amid a national debate about late-term abortion, which is often defined as an abortion conducted after 21 weeks of pregnancy. In January, the Virginia legislature was debating a bill to loosen abortion restrictions on third-term abortions for women who would be harmed by continuing to carry the fetus. Delegate Kathy Tran said that the legislation would enable women who are almost ready to give birth to have an abortion. President Donald Trump also tweeted that Democrats support infanticide. The Born-Alive Infants Act of 2002 guarantees that all babies have full legal rights when born.